Apple iPhone 6 is available on Flipkart at Rs. 40,999(only on app) but you can buy it just in Rs. 36,899. How to get this big Discount? 1) Go to Flipkart e-gift voucher page from here using Flipkart app. and click on “Buy a gift card”. 2) Buy gift vouchers of 15000 (set amount 7500 and quantity 2). 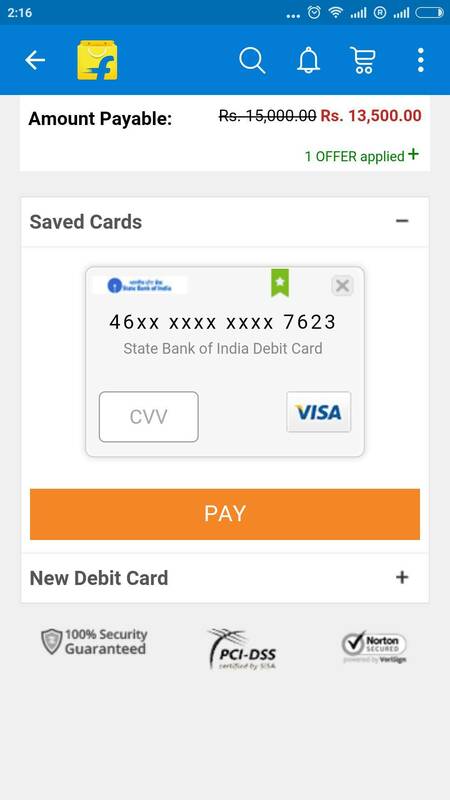 3) Now go to payment page and enter your SBI card number. There you will see a discount of Rs. 1500. 4) Pay Rs. 13500 and repeat step 2 and 3 two more times with different SBI cards to buy total vouchers worth Rs. 41,000(15,000+15000+11,000). You will get 10% discount each time so effective price = 40999-10% = 36,899. 5) Now go to Apple iPhone 6 page and pay using gift voucher. Remember you can apply up to 15 vouchers on an order. Note: you can apply same trick on other mobile or gadgets also. Apple iPhone 6 was announced on 9th September, 2014 and was released on 19th September, 2014. Apple iPhone 6 was successor of Apple iPhone 5C. Apple iPhone 6 included a number of changes than its predecessor. What were the new features than iPhone 5C? Let’s check that out. The first change to be noticed was screen size, iPhone 6 comes with 4.7 inch display. Also, the processor and the Camera functions were improved in iPhone 6. Apple also launched iPhone 6 Plus along with ‘Apple iPhone 6’. And in just three days, 10 million iPhone 6 and iPhone 6 Plus were sold which created a record. Now let’s come to the point. Important: Prices are very dynamic so check price of iPhone before purchasing gift vouchers.